After Stanford's huge win over Oregon on Thursday night and Alabama's win over LSU last night, it seems that only a big upset will now prevent an Alabama vs FSU national championship game. Florida State has a fairly easy road left while Alabama still has to play Auburn and the SEC East champion, likely Missouri. Stanford's shocking loss to unranked Utah now is especially devastating as they would be the top ranked team in these rankings if they had beaten Utah and would certainly be top 2 in the BCS at this point. 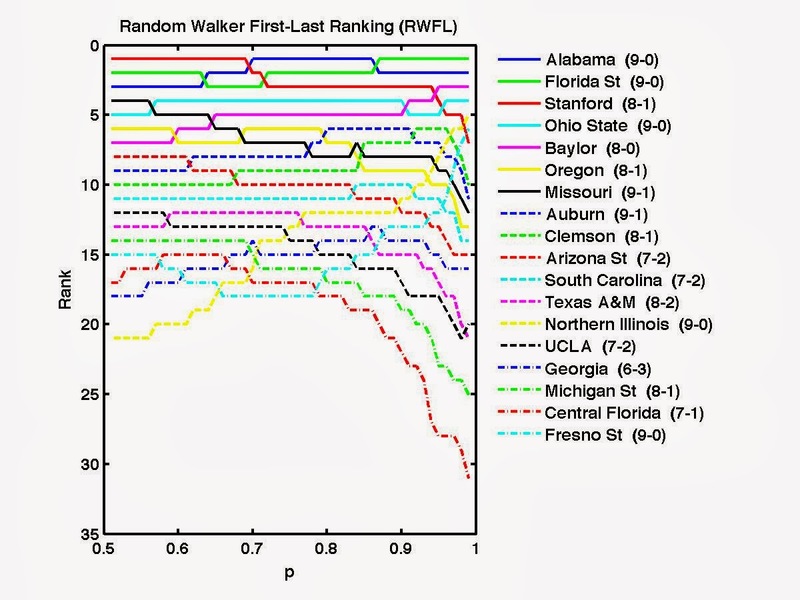 Ohio State and Baylor remain undefeated but are on the outside looking in due to the perceived weakness of their schedules in our rankings and those of most of the other computer ranking systems as well. I expect many of the playoff advocates, along with Baylor and OSU fans, will wish that it was initiated one year earlier. But with a month left, history teaches us that we will have a few more surprises before the end. 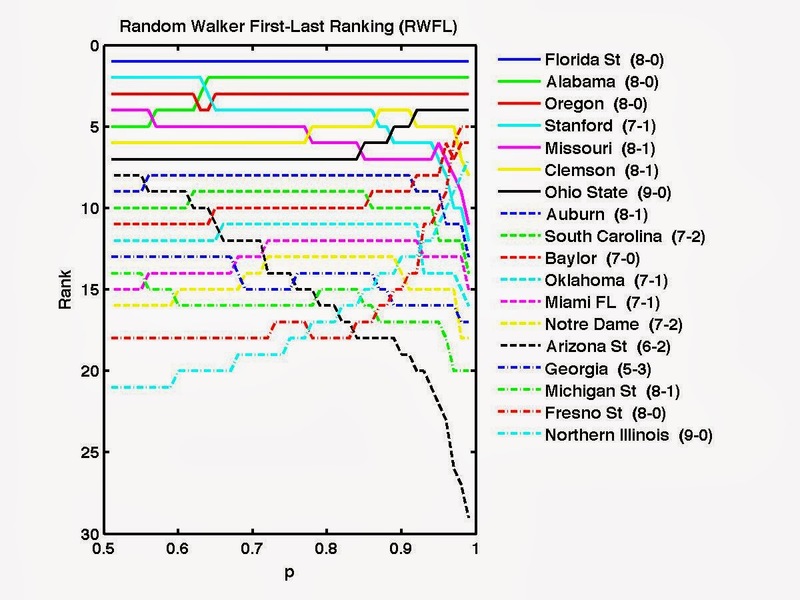 Welcome back to another year of the random walker rankings. This year marks the 10 year anniversary of the birth of these rankings! And next week marks the 10 year anniversary of our rankings being featured in ESPN the Magazine. 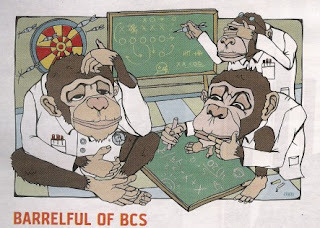 Of course, this year also marks the final season of the BCS and, as a result, computer rankings directly contributing to choosing the teams for the national championship game. Next season we will have a 4 team playoff to decide the national champion where the teams will be chosen and seeded by a committee of "experts" as it is done for college basketball. Thanks again to Peter Wolfe for providing us with all the data in an easy-to-use format.